Born: February 22, 1892 in Bourne Ma. 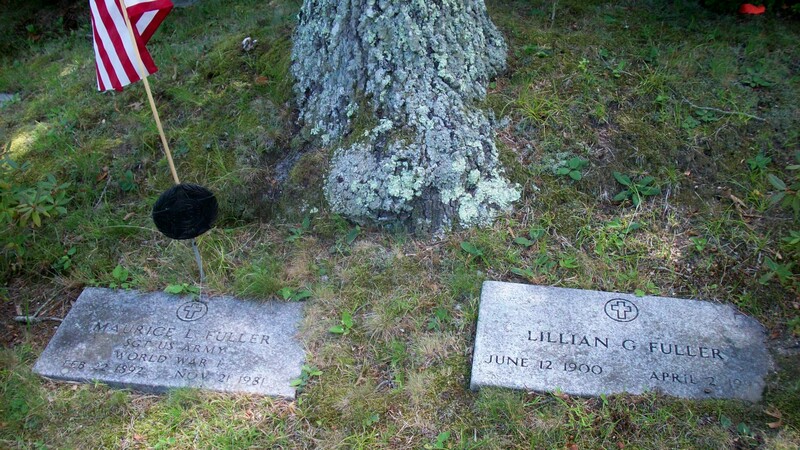 Died: November 21, 1981 in Bourne Ma. at 89 yrs. 2. 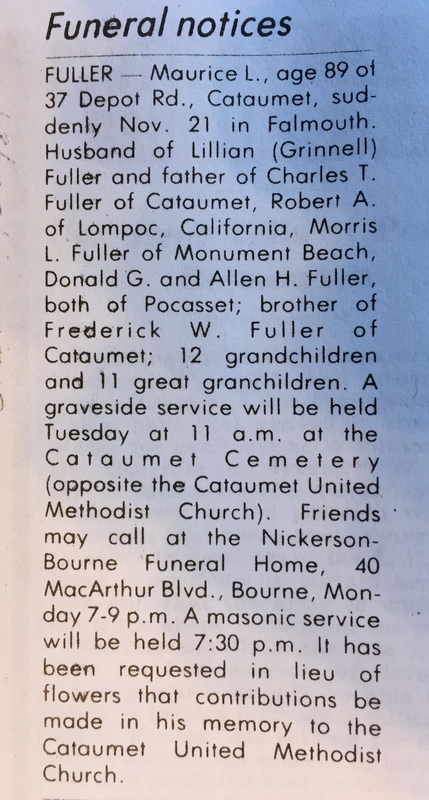 Robert Avery Fuller, WW ll; (June 4, 1924 – July 26, 2015); Married (1) Aki Nakajima (1928 – 2000) (Eisaku Nakajima & Kaku Kobayashi) in Tokyo Japan on October 19, 1956 & married (2) Lorraine Edith (Besse) Gibbs (1933 – ?) 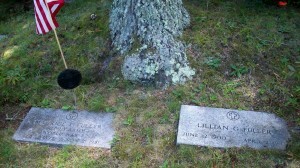 (John Francis Besse & Natalie Blossom Doane) in Pocasset Ma. 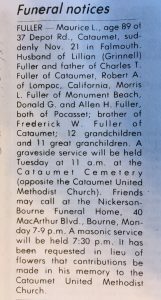 on December 22, 2001; Lorraine married (1) Stanley Arthur Gibbs (1933 – 1999) (Harold Stanley Gibbs & Dorothy Knight) on October 6, 1951; Robert had 2 children with Aki; He lived in San Antonio Tx. ,Lompoc Ca. & Abbott Me. & served in the U.S. Air Force for 20 years. 3. 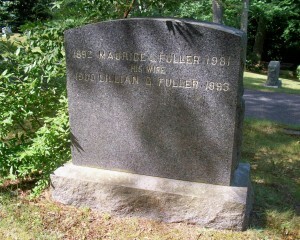 Maurice Leonard Fuller, Jr., WW ll; (September 6, 1926 – March 3, 1999); Married Sylvia Ann Michela (1937 – ?) (John E. Michela & Angela Lomia Mula) in Bourne Ma. on November 9, 1957; Maurice, Jr. is buried in Massachusetts National Cemetery in Bourne Ma..